As the school year comes to a close, you may feel compelled to give your kiddo’s teacher(s) a present. 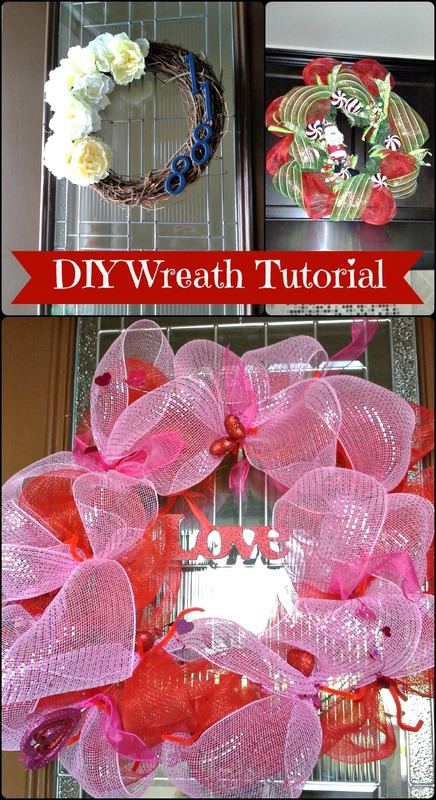 Here are some fun, easy, and heartfelt ideas for you. This year, and when my oldest was in speech therapy several years ago before preschool, I printed out these cute Thanks a Latte cards and gave it to his teacher with a Starbucks gift card. 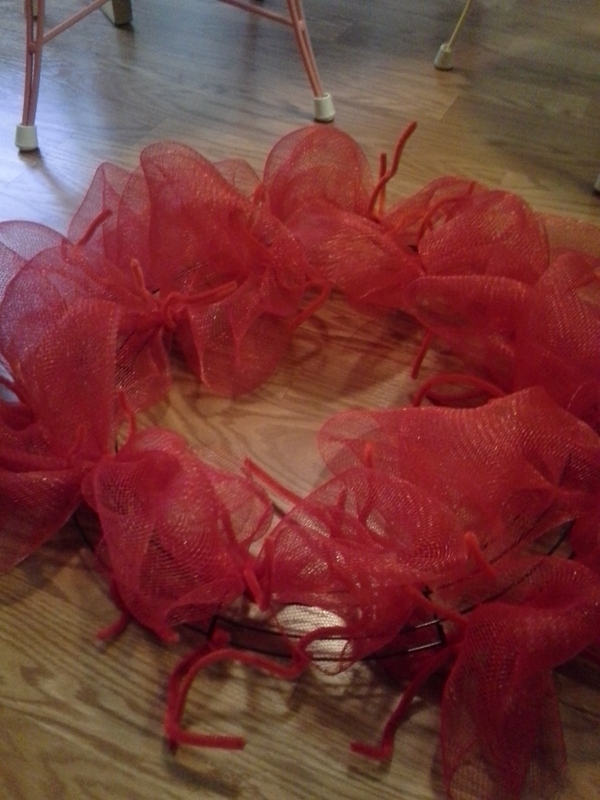 Now, this year for my youngest graduating preschool, and not having tons of time to craft I did it again. It’s nice, and doesn’t require a whole lot of effort. Here is where I got the download to print it off. If you’re looking for something more crafty, I made these over the past school years. I took a canvas tote, cut an apple in half and dipped in acrylic paint and dabbed it onto the tote in a pattern and my son gave it to his teacher with a clipboard that had her name on it. To make the clipboard, go and pick out some paper you like in the scrapbooking section, cut them how you want them to be positioned on the clipboard and just buy some modpodge, lightly coat the side the paper will stick to, lay it on top, then go over again, on the top to seal them together and onto the clipboard. 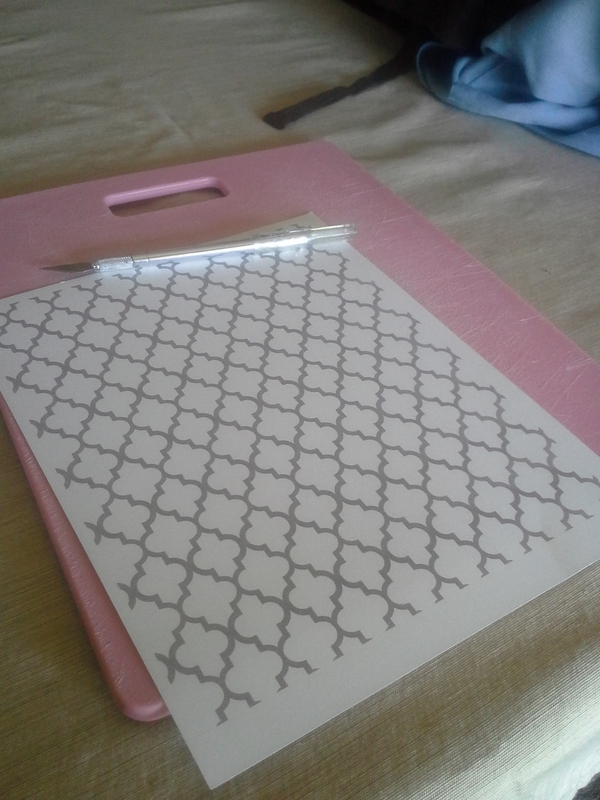 I took letter stickers from the scrapbooking section and stuck them on each one versus brining out my silhouette. You could cut letters on hour circut or silhouette etc. as well. These were also covered in the top coat of modpodge. Tie some string to the top of the clipboard and it’s done! Lastly, for this crafting teacher Initial, I got a small chalkboard, wooden wall initial, some chalk pens, crayons, and a couple rulers that I would cut to be the border. I used a chalk marker, and wrote the teacher’s name at the bottom, and hot glued the wooden letter to it. Then I took some crayons, hot glued them to that letter, and cut off any areas that were going to be too long- with a kitchen knife (seriously lol). 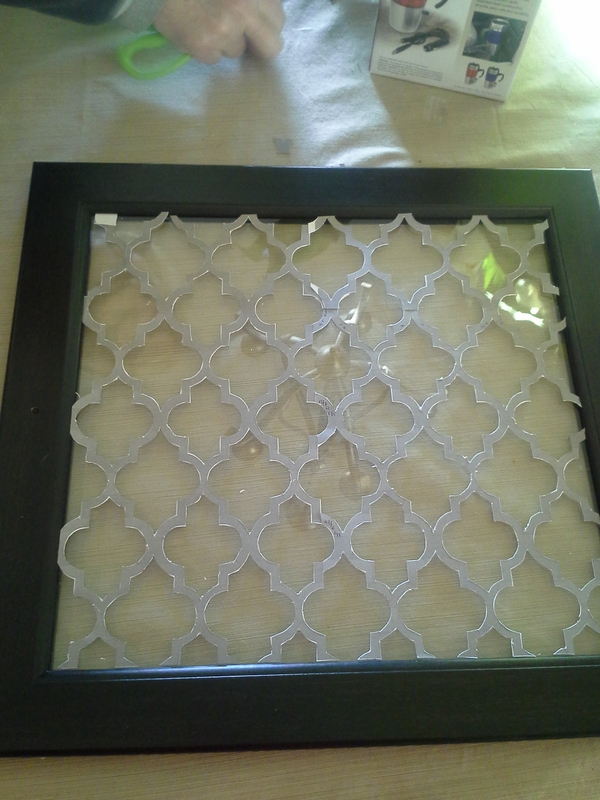 I took some rulers, used one of our saws, and created a border around it and got glued that on too. I wrote my sons name, or maybe had him sign it on the back, I can’t remember, but she loved it. You can always do something simple, like grabbing some $5 flowers from the grocery store, putting them in a mason jar and attaching a note with a ribbon for them too. Whether it’s teacher appreciation day, end of the school year, or the beginning hopefully this gives you some fun and thoughtful ideas to do for the teachers in your life. 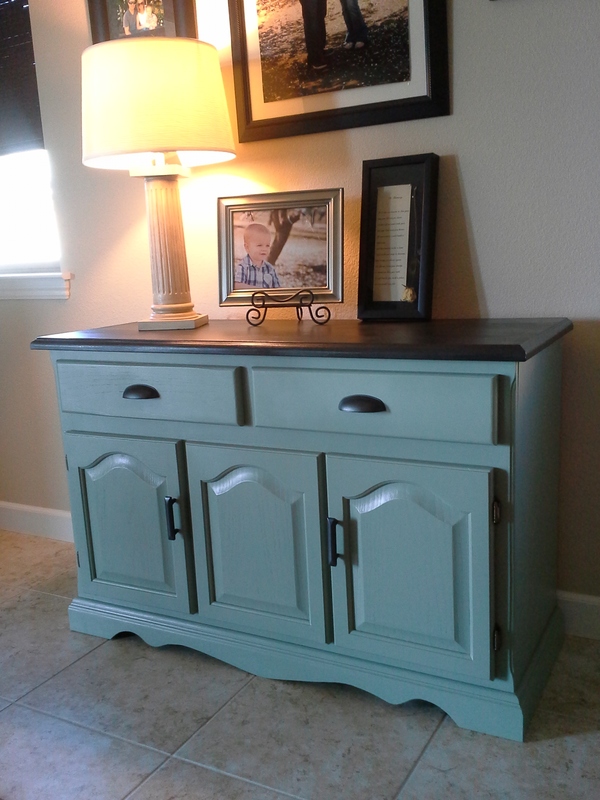 Typically, all I use to refinish things now is Annie Sloan Chalk Paint (ASCP). 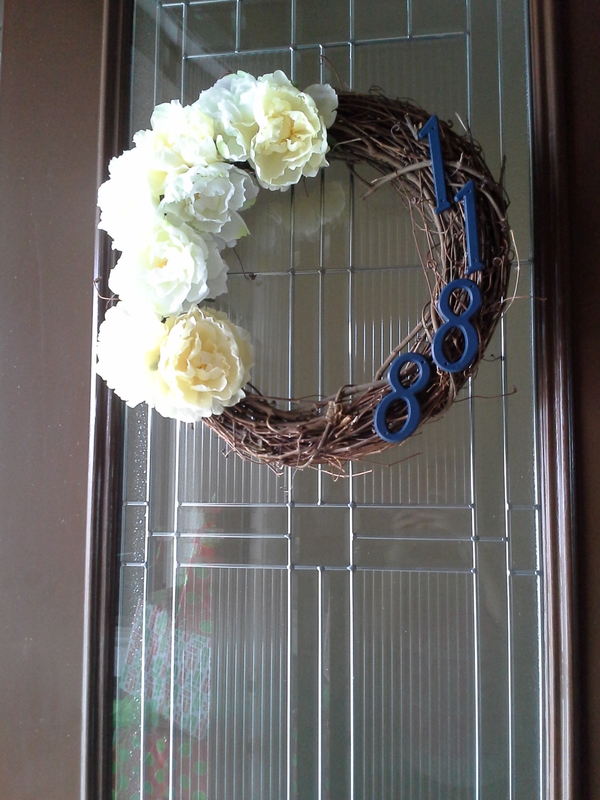 It is amazing and goes on so many different finishes but this time I ventured away from it to makeover our front door. 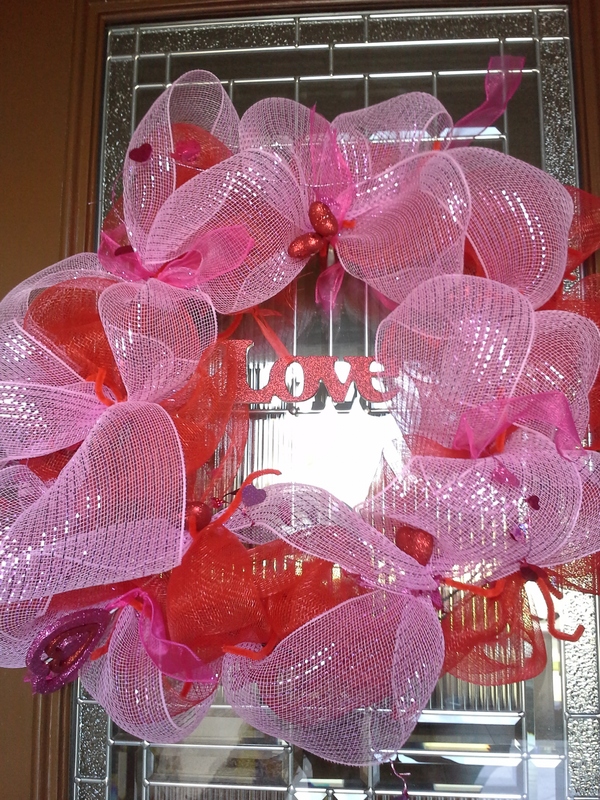 Technically ASCP can be used on a front door, I really debated back and forth if I should use it. However, I did not want to have to deal with putting some kind of sealant on the front door as well which I would have needed to with ASCP. That would just double the work load for me. I knew I needed a paint and primer in one, so I would eliminate any priming step and would not have to add a sealer at the end. So we took a trip down to our local (and only option- ha ha) Ace Hardware to choose a paint. We grabbed some paint swatches, brought them home and went back to get samples of the ones we liked best. We then painted the samples in small spots on the door and then picked our winner. Now, depending what type of and finish your door has and what type of condition it is in determines the steps you will take to paint and prep your door. 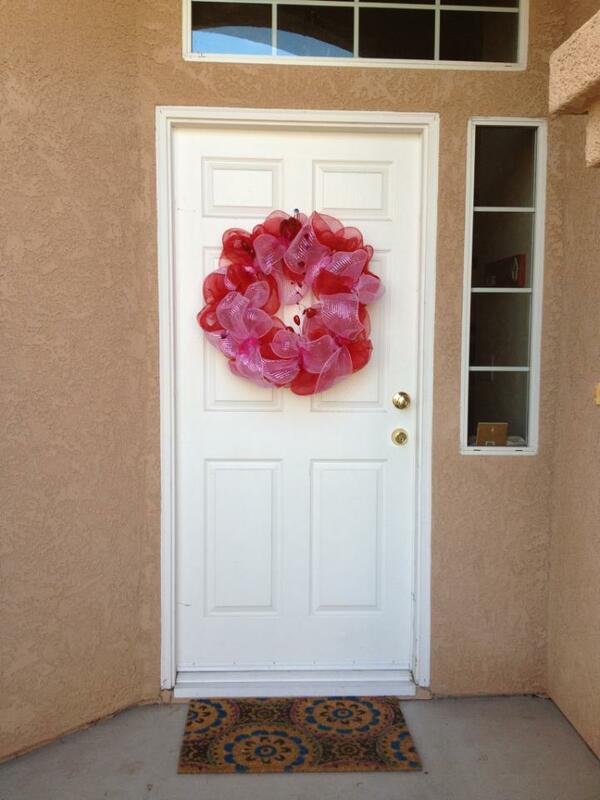 Our door was fairly new, it was painted about 3 years ago with a gel stain. It is a fiberglass exterior door, and we are assuming since it was a gel stain that it is oil based. You do NOT want to mix oil with latex or vice versa. Figure out what you have and then stick with that base. If you have an oil based paint on your door, continue to use oil based paint and primer as you refinish your door, and same with latex. There are all sorts of technical reasons about proper adhesion… just trust me. If you are like me and are in a situation where you want to switch finishes, you can. But it takes a few more steps. We wanted to replace the paint with an EXTERIOR, Semi-gloss, latex paint. After googling and doing some research, we kept seeing that latex just had a better application and seemed to last better than oil. I think oil would have worked just as well to, but we went with this paint from Ace, simply because it was all they had that would mix with our paint and we were assured we would like it. So make sure to talk to a knowledgable paint representative. 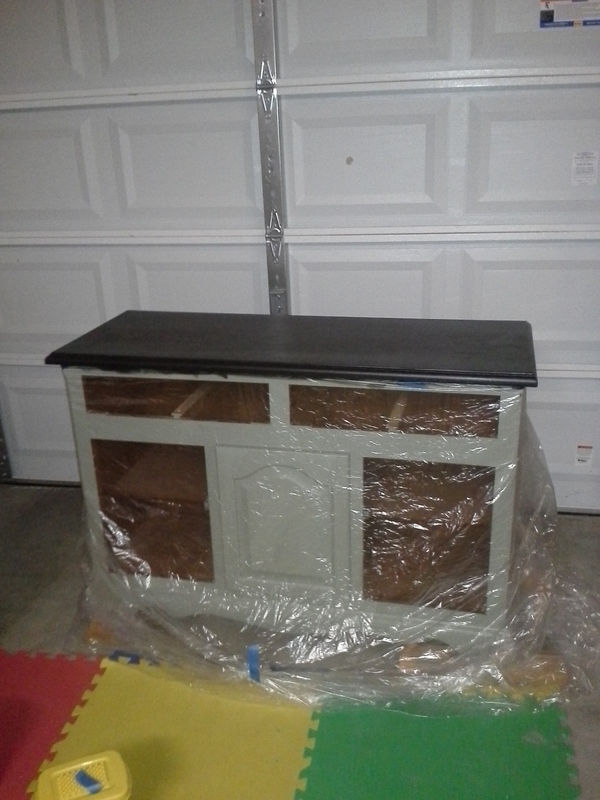 The color we chose was Royal Navy by Valspar and the paint we mixed the color in was Clark + Kensington Exterior Semi-Gloss Enamel Acyrlic Latex Paint they have this awesome how-to guide on their website about prep and painting too if you need some more info. We got home and here is what we did. Prep your door, to remove any dust, oil or sheen. We lightly sanded the door, to remove any existing sheen, since we were changing paint bases from oil to latex and wanted it to have better adhesion. Just sand off most of any existing shine if you’re switching. If you’re not just wipe down the door, with a damp rag to remove any dust and then once with mineral spirits (this is something I use all the time in painting and its like a staple you have in your pantry- you need to pick up a can if you don’t have it). Let it dry and then proceed. Tape off all windows panes, or hardware. We removed the main handle and just painted and taped off the hinges. We did NOT want to remove the door off the hinges. If we had, we would have had to fully cover the front door opening until it went back up, and painting would have taken longer. We would have had to paint and finish one side, and wait for it to be all done and THEN flip it and do the other side. I wanted this to be a quick project to do on a cool day (before the summer heat hits) and it worked out great. We had a lot to tape off since we have 6 window panes on each side, and the trick to a good tape job is using an EXACTO KNIFE!! Put your tape on, and then take your exacto knife, and run it along the edges and it’ll remove tiny pieces of tape and ensure the tape is good and close to the edges. Let It Dry. We left the door partially open because it was a nice cool day and then closed it when we got ready for bed. Check your paint can for specific drying instructions. 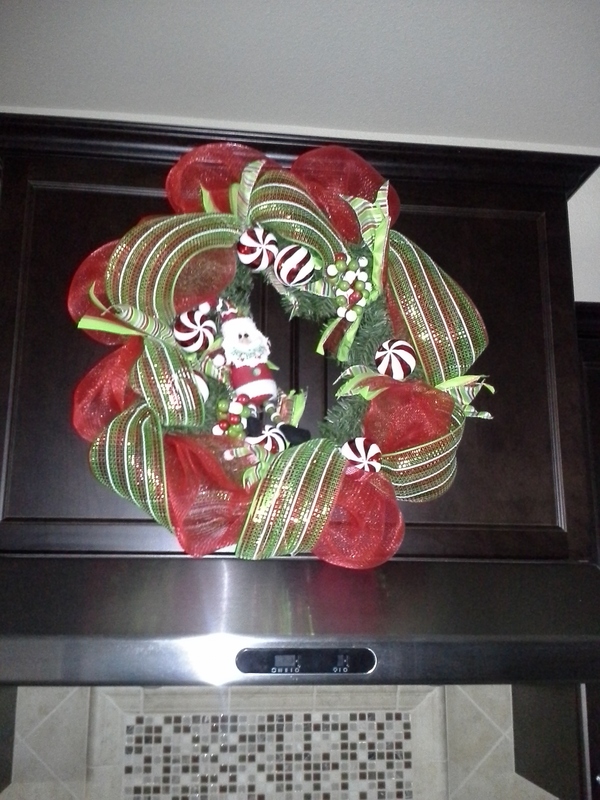 I waited two days and then put our cute wreath from Kirkland’s back on it. That’s all! 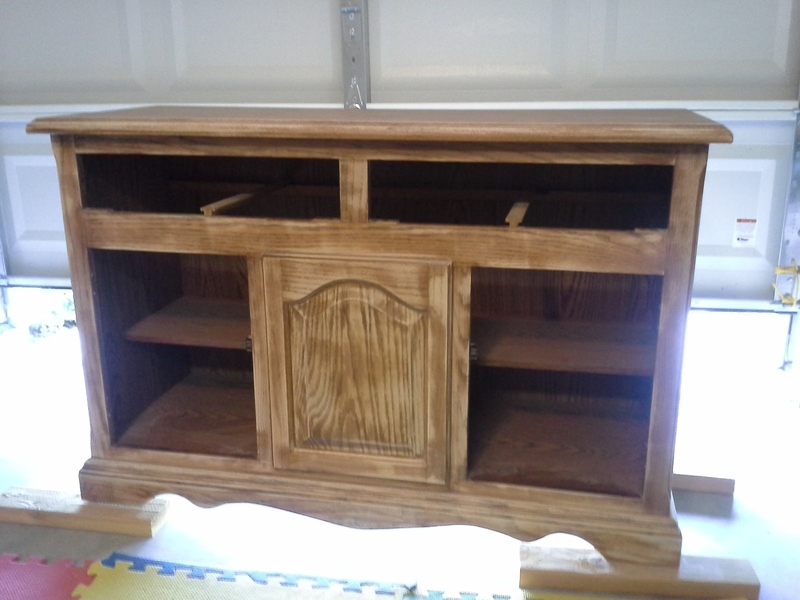 Took a couple hours, since we painted the front AND back (because the stain was on our inside as well) and we were done. This cost under $40 to do it! I hope you enjoyed this tutorial. Feel free to share on any of your social media pages with the buttons below! WOW! Its been a while. A LOT HAS CHANGED, more blog posts to come on that soon! But for now I wanted to talk about the epic Nerf Party I had for the boys. It was fun without being crazy complicated (in my opinion). As the years have gone by, I have always LOVED throwing my boy’s birthday parties jointly. Their birthdays are just 7 days apart, and they for the most part like the same things. This year, the nerf idea surfaced and they both were super excited about it. So naturally, I ran with it. For me, throwing a “cute” party or well designed party is what excites me. So I thought of how I could keep this fun, uncomplicated, while seeming well planned out (when in reality it wasn’t a hassle at all). Here is how I did it. My BIGGEST TIP for throwing any party is to TO THINGS IN STAGES! Make a plan, well beforehand and follow it! Don’t, I repeat DON’T try to do all of the cooking, prep, setup, on the day of the party. Just don’t. Once invites have gone out, plan what you want to do, how you want to decorate, think of food you want to serve, where things are going to go and be setup, plan party favors you may or may not have. As it nears the 2 week mark, start shopping. If you are closer to stores than I am, you have the luxury of pushing this out, but it stresses me out to not have all of the things I need in advance, in case some stores don’t have what I’m envisioning then I have a time cushion to look around. One week out- do a little something EACH DAY. Small tasks done over the week really help ease the burden of throwing a party, versus a ton of work in one day. So look at what you planned in step 4. What did you buy, what are you making, what are you cooking or picking up, what are you setting up? Then look at your schedule- what can you accomplish EACH day. Leaving very little to do on the day of the party, and allowing yourself time to shower and get ready! Party day- I like just putting finishing touches on things the day of, because when I did NOT do this, it makes things so crazy! I just laid out table cloths, set out center pieces, and hung up balloons. (if my party wasn’t outdoors and wouldn’t get blown away I could have done the balloons the day before as well). Now that I had my Nerf theme, I picked the colors I wanted to use throughout the party. 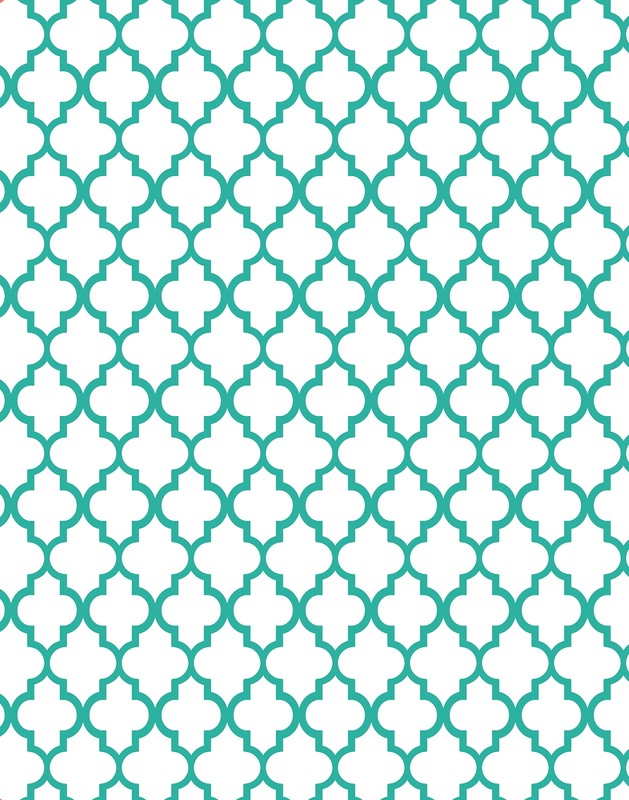 This will be used in balloon, table cloths, napkins, flatware, and any other decorating elements. I used nerf colors since that was the theme of the party- blue and orange. So when picking out all those things I wanted to use a mix of both blue and orange. I printed them at Walgreens, on photo paper, because they are so cheap and I never have to waste my ink at home– because lets face it, the ink is always low. PLUS, there are usually coupons all the time for photo prints. I printed the invitations for under $5! At our home, we have this great existing pole barn structure that we have used for a couple of years now to set tables out and use for our parties and I LOVE it. I have lots of ideas of stream lights, old chandeliers and more down the road I’ll add. So I knew thats WHERE I would be setting up my tables, food, etc. This year, I wanted to play around with streamers (also from the dollar store) and make sort of a backdrop wall where I knew I would be putting the food table, and setting the cakes out when it was time to sing happy birthday and it would make for a nice picture backdrop. 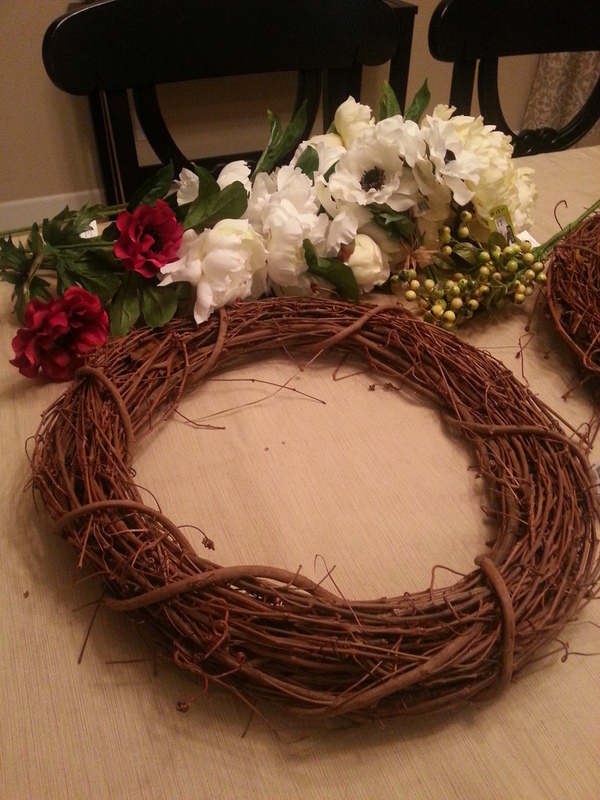 I saw cute centerpiece ideas on Pinterest for this theme and just mimicked them. The places I knew I would be stopping for Decorations were: Dollar Tree, Target, Joann’s, Hobby Lobby and potentially Party City depending who did or didn’t have what I wanted. I found metal buckets (I looked at all the places) at Joann’s, I got those, and found some 50% off wooden numbers at Hobby Lobby that I hot glued to wooden dowels, spray painted with the blue spray paint I was already going to be using to the shooting can game, stuck that into some floral foam I placed inside the buckets, topped with dollar tree orange crinkle paper, and used some wire to stick into extra nerf bullets and stick that into the foam too. Voila! The other thing I saw that was cute, were pool noodles (also bought at Dollar Tree) that looked like nerf bullets! I got some to use scattered across the tables, but ended up having to tape them down since it was kind of windy the day of the party. I took the pool noodle, cut each one into 4 pieces, and then attached with double sided tape some orange construction paper to look like bullets. Another idea, if you see orange duct tape, you could skip the construction paper step and use that, and can cover the hole on the noodle. I didn’t see that or think of that until after. 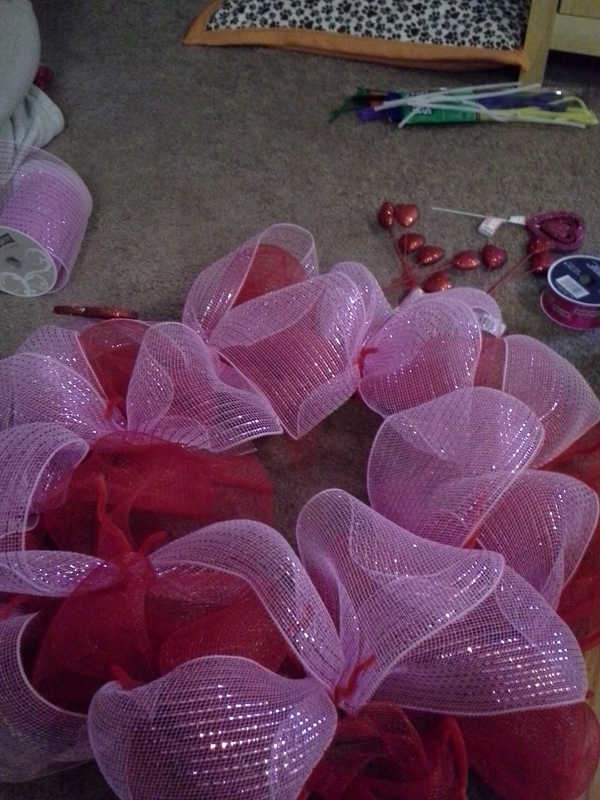 But this was still super cute and easy! Now we will have a bunch of random pool noodle pieces to play with this summer too, maybe I could even use them for fourth of July! I saw that a cute idea with cans- that were spray painted that kids could shoot with their nerf guns. 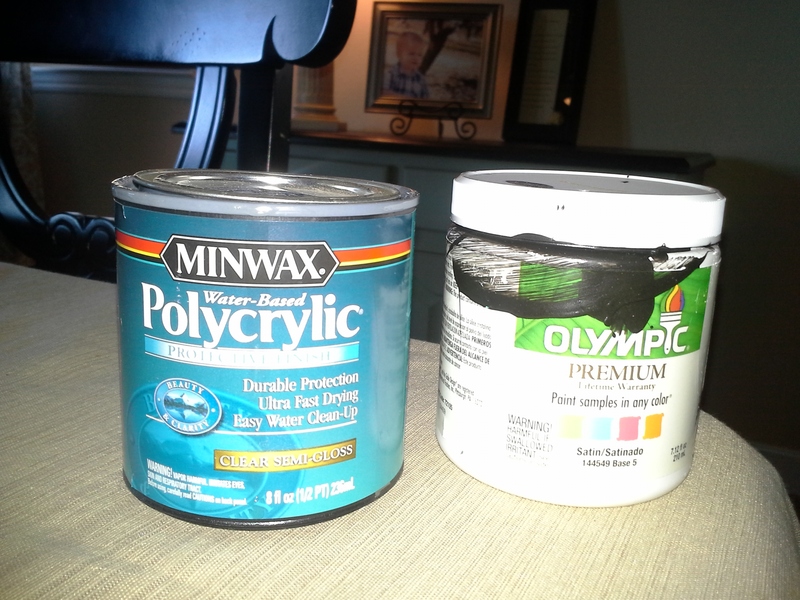 I got some blue rustoleum spray paint from Lowe’s (because its multi finish, you can spray over just about anything) that was paint and primer, and I just used old cans we had here. The orange was a little too sheer, and it bugged me to see the logos, so I took the leftover blue and made them cammo. Now no one knows except you! I saw several (no real ingenuity here) ideas for barricade type areas where kids and adults can literally shoot it out. With my husband being a farmer, we have an abundance of pallets we could use. So we (he) took about 7 of them and set them up in different formations and threw some camo I got from Amazon (in coordinating blue, I might add) over them as he staked them into our grass. He drew a line in the grass with some left over orange spray paint from the cans so there were divided sides and teams- ALL his ideas. Second activity, check! The other thing I saw and loved was this idea of making cups with prizes inside. You hot glue plastic party cups to a foam board, I got mine at Dollar Tree, and you put tissue paper over it and attach with a rubber band or more hot glue. They stand behind and shoot the board, and if it didn’t puncture the cup enough, they went up and just punched the cup and grabbed their prize! I grabbed little things from the dollar section at Target, and used 15 cups. For all of the activities planned, we had an grab bag/ammo station set up and all the games right by each other. The kids grabbed camo bags filled with nerf bullets, nerf glasses, and a nerf gun off of the ammo table. The kids each got one of these and it REPLACED doing a traditional favor bag. I ordered the Disruptor gun from Target, I was checking prices on Amazon, Kohls, Target etc. and this one was 39% off so it was a pretty good deal since we only have to buy a handful of them for the bigger kids. For the littler kids I got this one from Amazon, and like I said, these would be their favors along with the bag, bullets, glasses. I ordered a 300 pack of bullets on Amazon for the cake decorations, and for the kids to go wild with. 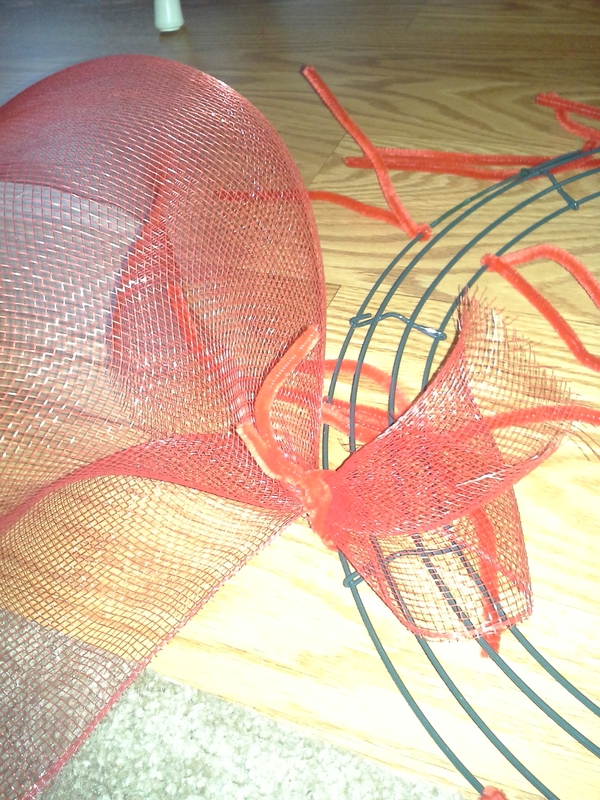 You know how nerf bullets go, they’re kind of like laundry socks and go missing. They each grabbed a bunch of water balloons to take home as well. I got this printable from the East Coast Mommy Blog and she had a great post about their nerf party. I ordered coordinating blue water balloons off of Amazon because I like to stick to the theme colors AND because I live so far from stores, ordering and planning in advance saves me SO much time and money. I may take the drive to target and not be able to find only blue water balloons! I printed them on card stock I had at home and attached them to the balloons. Now that we have talked invitations, colors, activities, favors, lets talk FOOD! I really enjoy throwing parties, and preparing fun food menus, but lets face it. There are only 24 hours in each day. So, I would rather the party be really cute than have fancy food at the end of the day. Since we now live on the farm, in a small town where I cant just run to a regular store to grab food my options are way more limited than they used to be. My boys both really love pizza, and I feel like most people do! So I wanted to have pizza, but again, with a small pizza chain here as my only option and not wanting to spend a fortune on a couple pizzas (they have the pizza market cornered here and can basically charge what they want) I decided to do take and bake pizzas from Papa Murphy’s. There is one 20 minutes from me, and I picked those up the day before. I ordered some and used a coupon and ended up sending $30 for 4 pizzas! This fed 30 adults and 8 children! I took my pizza cutter and made the slices even smaller, and more snack size since my party wasn’t at a real meal time. I threw together a quick strawberry salad with candied pecans, crumbled feta, and creamy balsamic dressing from Sprouts, and had popcorn in cute little blue boxes and chips. I put some gatorades (blue and white, I try to stay away from dyes for my kiddos as much as I can) and waters in an ice bucket and thats it! I REALLY got into baking a few years back when my oldest was about 1, not sure HOW I did this.. but I did. I normally made some really cute, elaborate and fancy decorated sugar cookies but this year I didn’t! I wanted to keep it simple, and low key, while still being festive but didn’t want to completely lose my mind in the process. I posted a tutorial how to make the nerf cakes I made for the boys. I have been baking on and off for 7 years (and started a small business doing it), I feel comfortable tackling some things when I know some people would completely balk at the thought. Like I said, I did NOT want to spend a ton of time making absolutely adorable decorated sugar cookies, only to be devoured in 5 minutes. SO this year, I did NOT do cookies, but did simple cakes decorated with nerf bullets instead! I could have made these way more elaborate, busted out some fondant, watched some crazy youtube tutorials.. but I DIDN’T! I will create a blog post about how to make these cakes. It was really simple, and since I was basically covering ninety percent of the cake with nerf bullets it was actually pretty forgiving and simple. I used doctored box cake mixes as well. 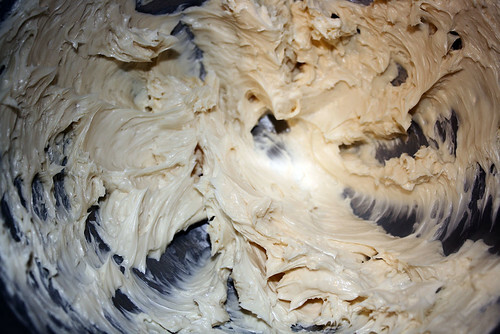 So stay tuned for a post about my FAVORITE buttercream frosting recipe and how to assemble a simple cake like this. Having some basic baking skills can carry you a long way, and if you never try, you will never get better. Plus, I know I saved at least $100 versus going to a bakery and asking for them to create two nerf cakes. I hope you enjoyed reading this post, and got some fun ideas to use for your own parties whether it is nerf themed or not. Be sure to subscribe to see my new blog posts, and feel free to share this blog on any of your social media platforms with your friends. Now that Christmas has passed us yet again and our homes are full of new goodies, having little ones like I do you may forget to doing simple things like writing a Thank You card. I personally ALWAYS take the time to make sure I thank people for gifts either for myself and husband or my children. This is definitely something that falls by the wayside these days, and it is such a simple gesture that speaks volumes to those who gave you presents. On that note, I think this is something special you can do to really show your appreciation to others while being SIMPLE! With that being said–I bet your tree and decorations are still up too, so if you didn’t happen to catch a picture of your kids on christmas opening gifts or by the tree stick them by it and snap a picture- you will be glad you did! I took pictures of my boys that morning but made an effort to take one for this THANK YOU CARD! 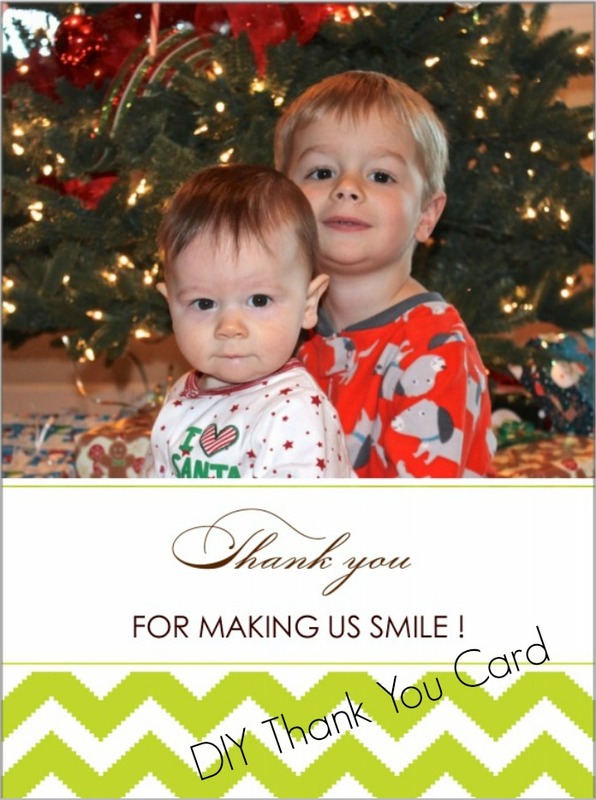 I figured their grandparents and relatives who live here and those who don’t who sent presents would LOVE getting a Thank You card with their picture on it! There are several websites out there that have templates to make a cute card like I did, and I happened to use shutter fly “PRINT AT HOME”- I bet some of you didn’t even know that existed huh?! 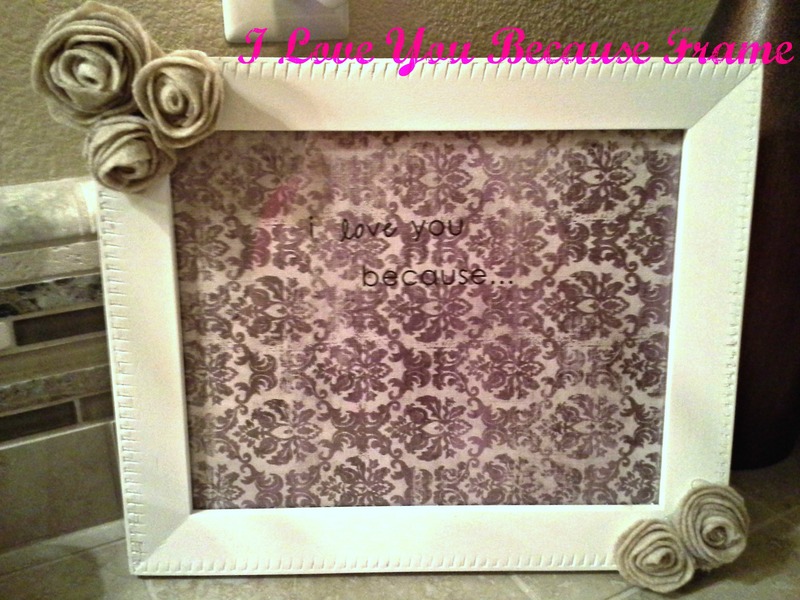 Add your photo and text and then just print it out! I used some card stock I had, or you could use photo paper; heck you could even print it at walmart or target and then just pick it up if you don’t like your printers quality or don’t want to waste ink! Hope you all had a Merry Christmas, and that you give this a try since its only a few days past Christmas. 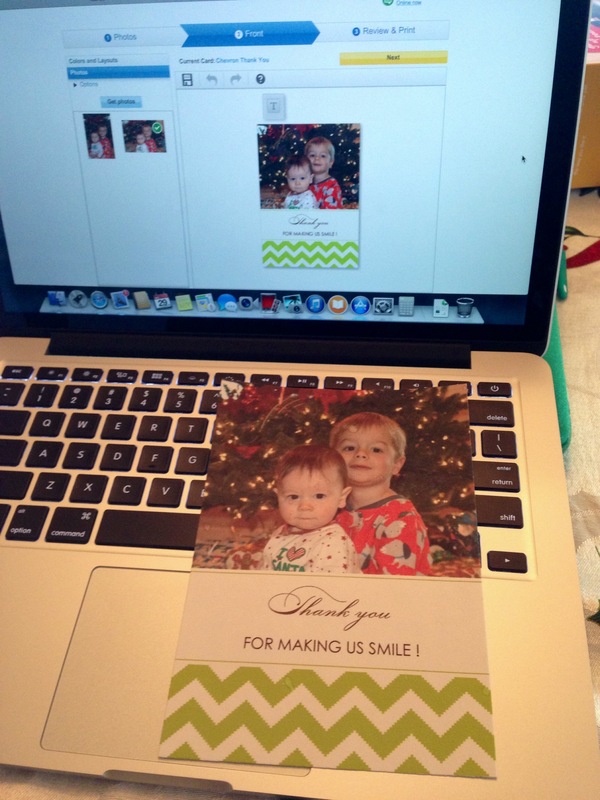 Im sure everyone will enjoy a personalized photo Christmas Thank You card! 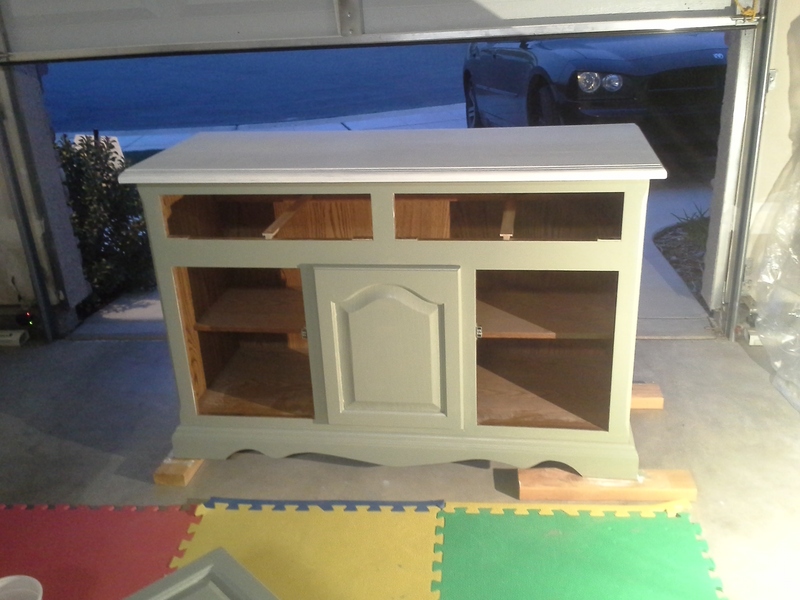 I Wanted a new piece of furniture that looked more finished to replace my old apartment sofa table from target, something like a buffet table since it goes by our big dining room table for dinners… I saw ones I liked and they were $300+ dollars, and there was NO way I was going to shell out that kind of money… so I decided to refinish an old piece I found on Craigslist! This turned out AMAZING! I actually want to do it again, the painting went smooth and it turned out exactly how I wanted it! I’ll tell you how I did it, and you should give it a try! Its worth the work and definitely worth the money you save, just take inspiration from Pottery Barn magazines, Ballard designs etc. 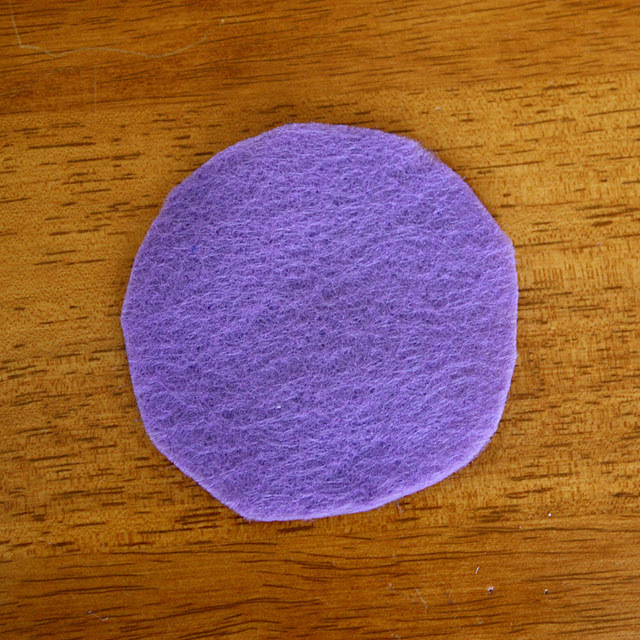 – Palm Sander ( I used 150 grit paper ) and BOY does a palm sander make sanding go fast! – 4” Cabinet and door roller, and the roller is the BEST trick besides using a sprayer to get even coverage without brush strokes. * Don’t judge the clutter, this was done in my garage while clearing out the house for baby #2! 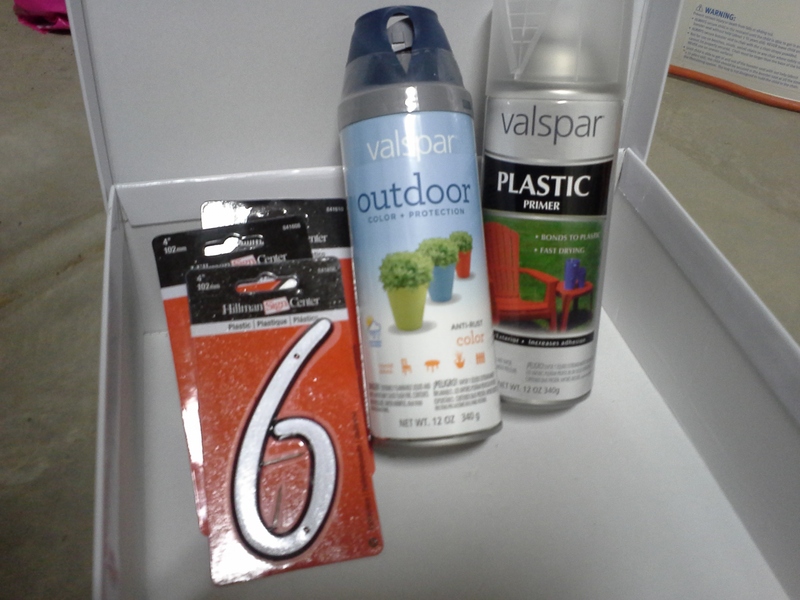 1- Remove all of the doors and drawers, take off the hardware and keep in a baggie just in case so you dont lose them. Then sand your piece until the varnish comes off and the surface is smooth. 2- After it is all sanded, take some lightly damp paper towels and rub the whole piece to remove the extra sawdust and let it dry! 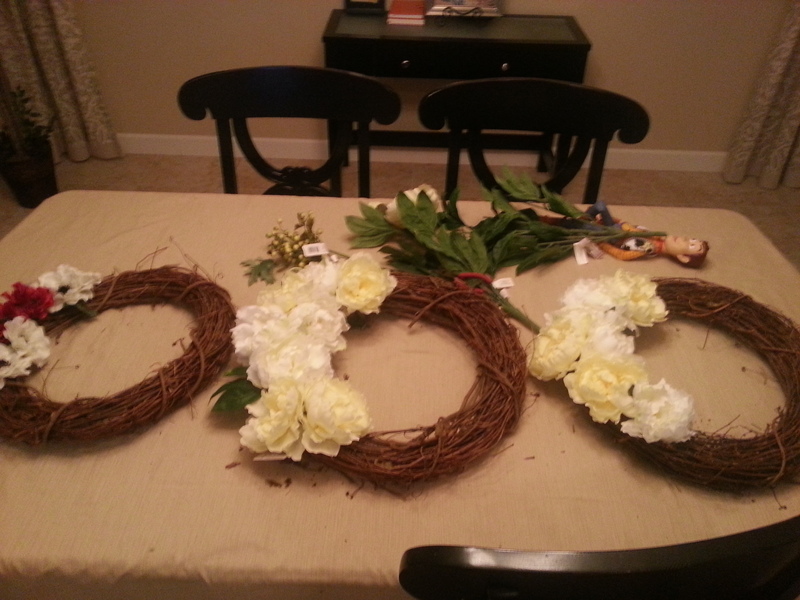 I didnt rush ANY of the drying processes, and let each step dry over night. Why ruin your work if you’re in a hurry??! Let it dry overnight just to be safe, like I said don’t rush it even if it seems safe. Its not worth it! Smooth out any areas that the roller will not reach with a good synthetic bristle brush, I did this around the curves in the drawer and then smoothed it out again with the roller. 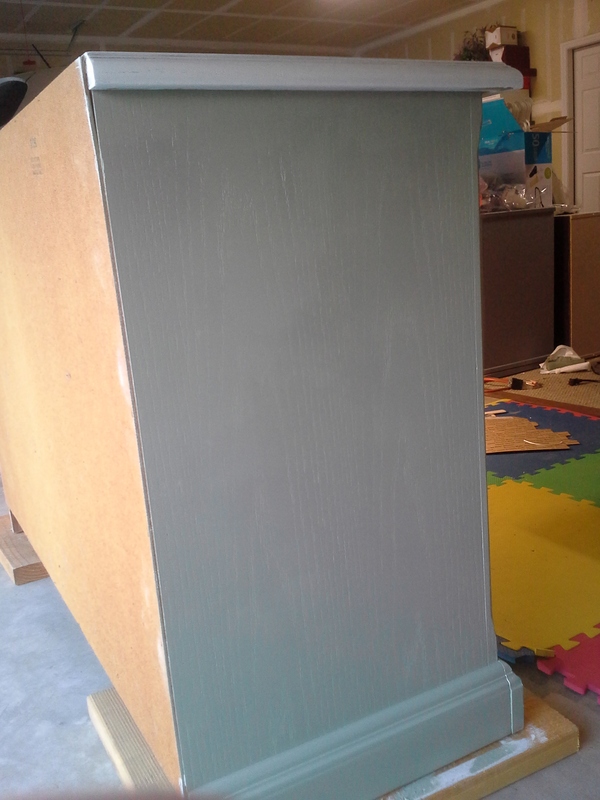 I applied two coats of my grey/green and waited OVERNIGHT for both drying processes. 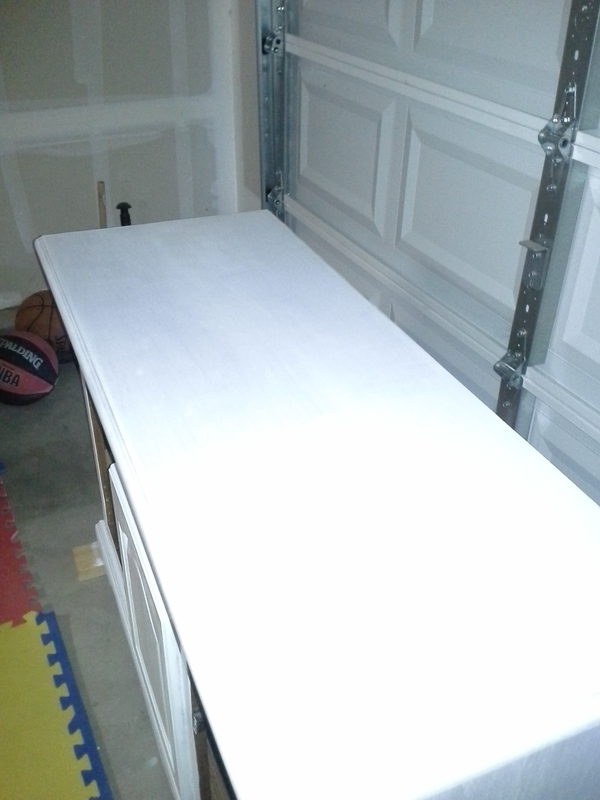 5- Now that the main part of it is dry you can tape the bottom off and use a tarp to cover it and paint the top! 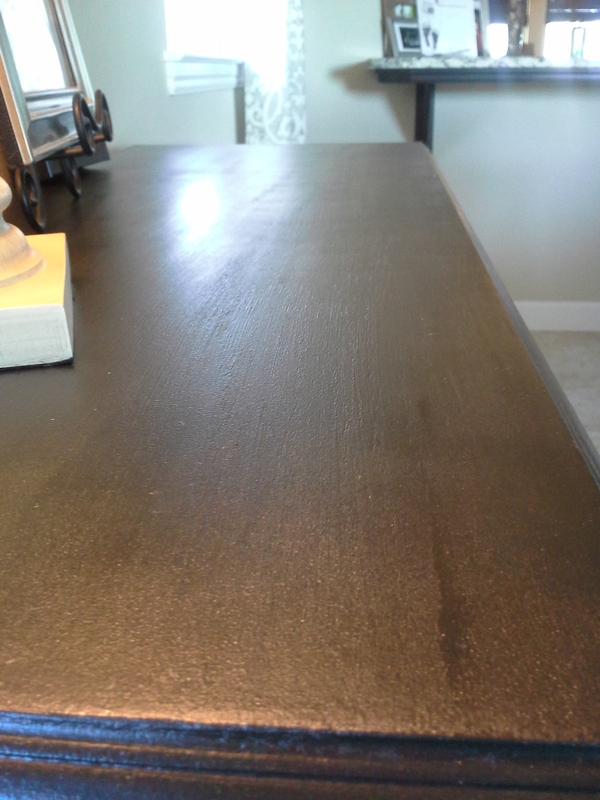 I painted three coats of black, to make sure it was all even and none of the primer showed through. I waited 3 hours in between each coat. It dried super fast, so judge your paints directions and by how it is drying. 6- Last but not least, NOW you can add your top coat!! I rolled mine on, even though it advised using a brush… it wasn’t looking as smooth and I switched back to my trusty roller and rolled two coats on. I waited overnight in between coats. Here is a picture of how smooth the black and top coat are (If you can’t tell, you have to take my word for it, it looks professional!) and I know 100% it is because I used a roller. 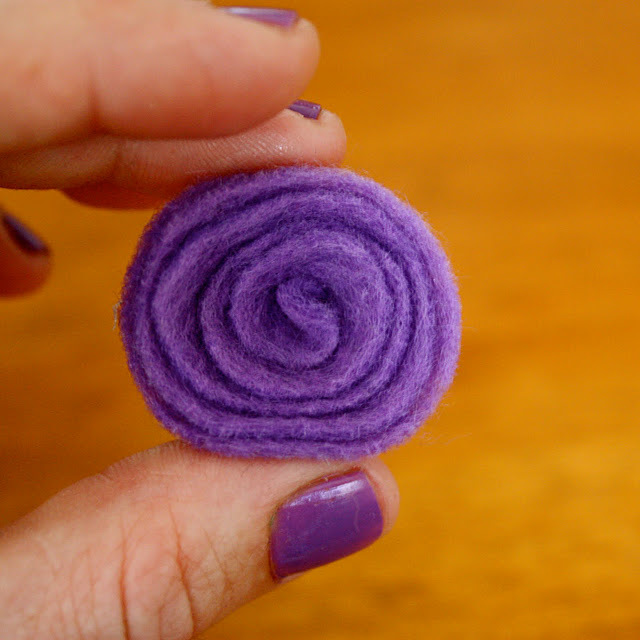 So if I didnt repeat myself enough, USE A ROLLER- it will make your piece look like it was bought! 7- Now you just take your tarp off, put the hardware on and then put doors and drawers back on! Ta da!! Thats it, its really simple and comes out looking great!! 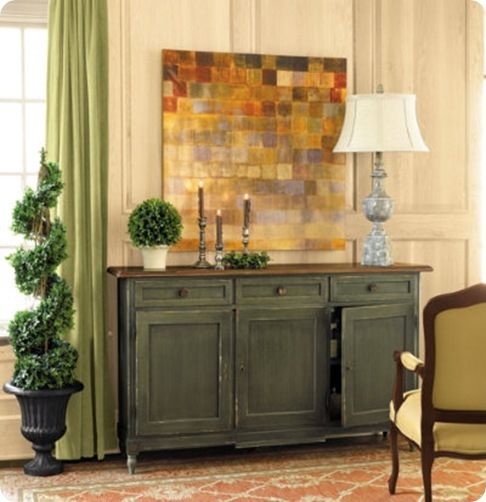 Just for your info, I was using another picture for inspiration but lost it.. so this was close- from ballard designs, and is over $350! 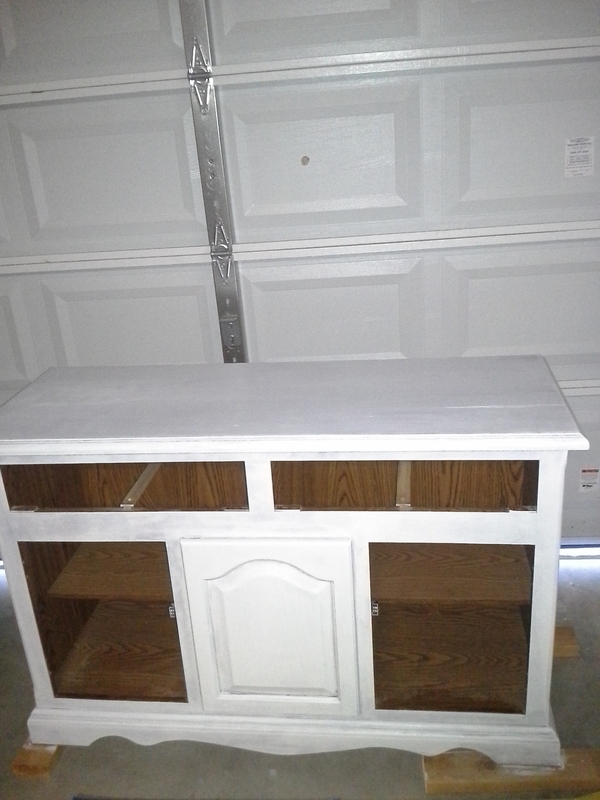 My grand total for this WHOLE project was under $125 INCLUDING the price of buying the buffet table! 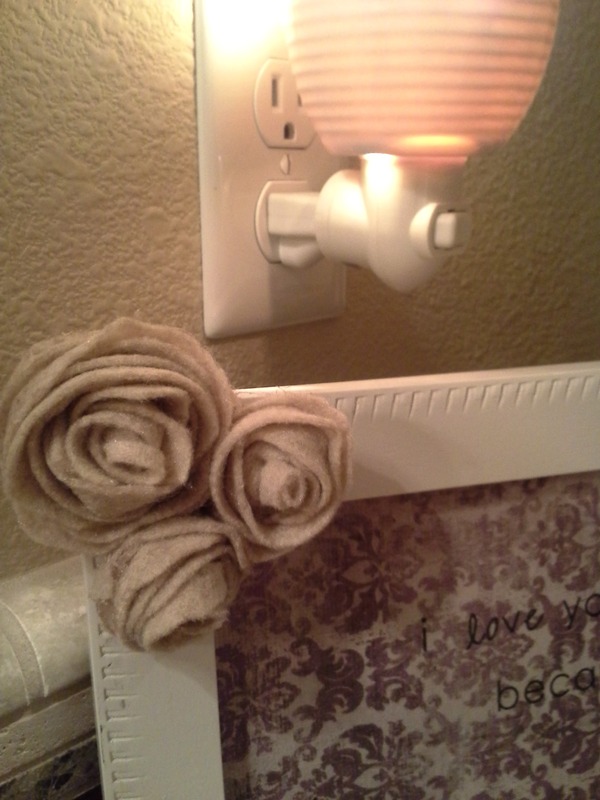 I love getting things and making them cuter, especially when it happens cheaply! 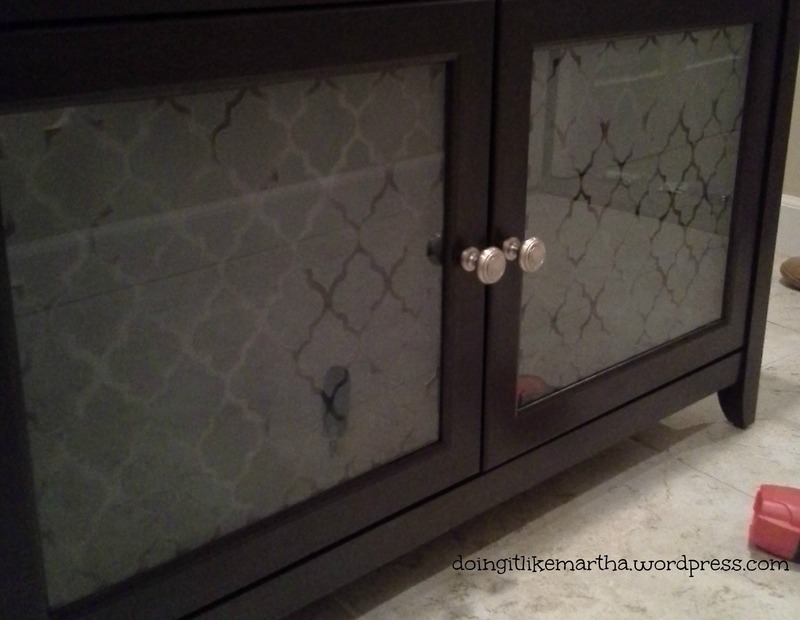 I was looking for a piece of furniture to hide my printer and files since we are cleaning out the office to make room for baby #2, and I found this cabinet which I wasn’t too crazy about and decided to etch the glass with a nice geometric pattern to hide the office supplies going inside- since this will be in my hallway! 2. Align it with where you are going to be adding your design. I placed mine on the INSIDE of the cabinet, since it is low and there will always be grubby hands touching it. 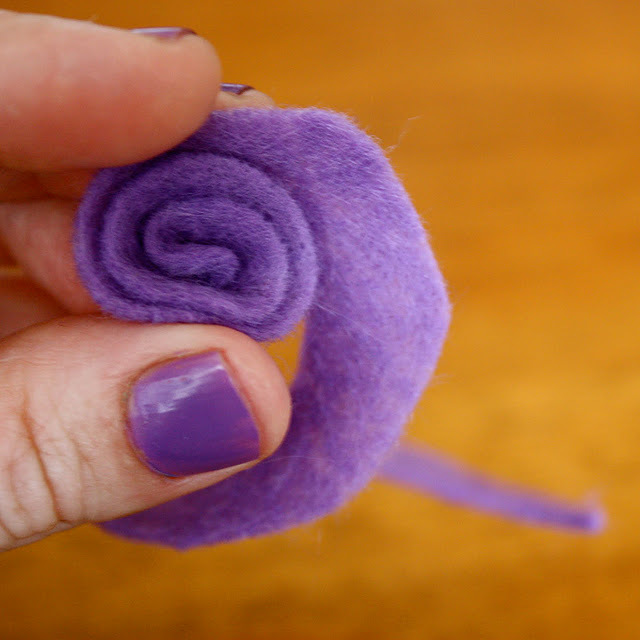 This will prevent smears and smudges on the pattern since it will be on the inside. 3. 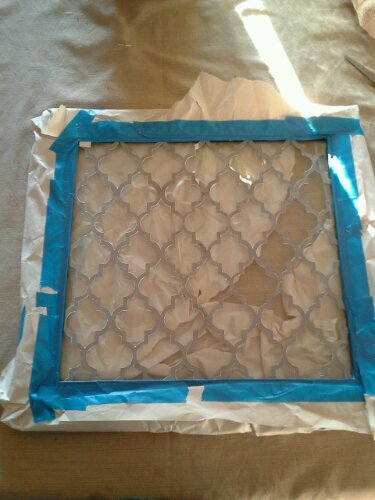 Put tape around the glass and wrap the outside with paper so the spray paint doesn’t go on anywhere it’s not supposed to. Remember to follow your specific can’s instructions. I sprayed 3 coats on the glass and was happy with the coverage, I waited 10 minutes or so between each coat- it dries fast! 4. Once it is dry, peel off the tape and paper and it will reveal your pattern!! That’s it, you’re done! 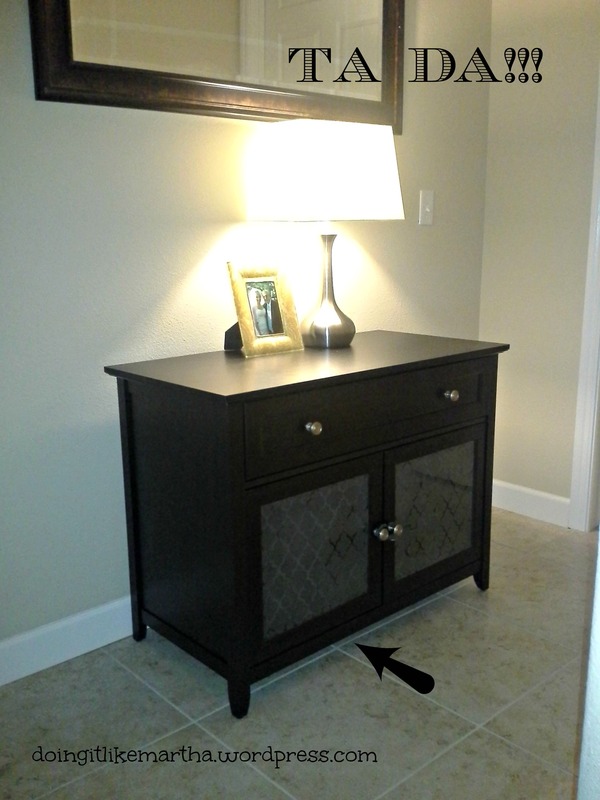 Think about all of the different places and pieces of furniture you can customize! I will probably be doing this on our entertainment stand in our living room to hide our cable boxes and movies! Give it a try, if it doesnt turn out right just frost the rest of the glass and the whole thing will be uniform- its win/win! 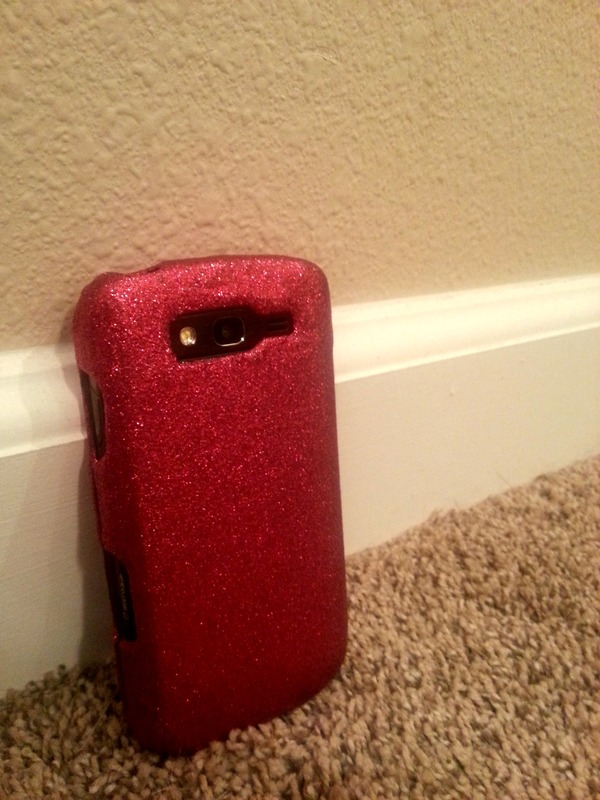 I saw some posts on pinterest about making phone cases, and I decided to give it a try! This is a super easy thing do to, and comes out looking amazing! The best thing is that is totally custom and can be a great cheap gift for yourself or someone else… and with Valentine’s Day coming up, this could be a nice little gift for a coworker, a friend or sibling! Mix your craft glitter with some modge podge in the bowl you lined with aluminum foil. This will make for easy clean up and you will just lift the foil out and put it in the trash versus having a dirty bowl to soak and clean! 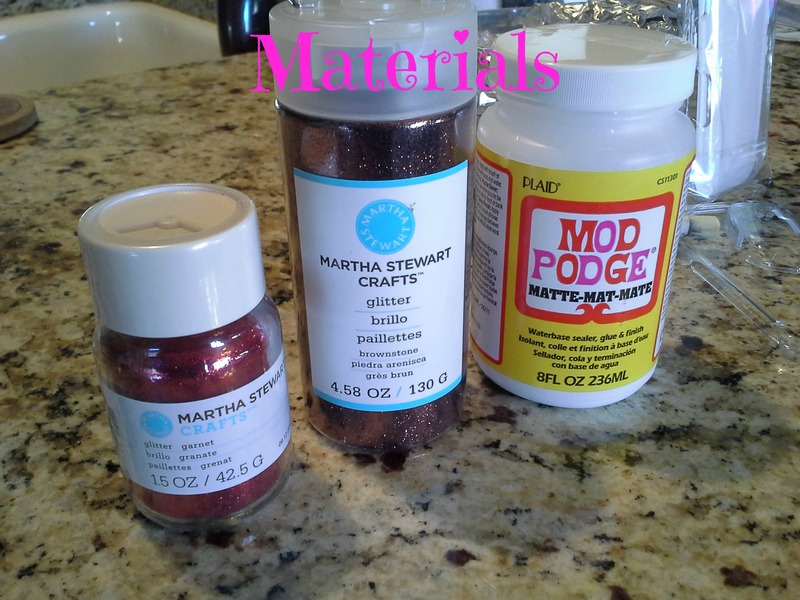 You will want the mod podge to have LOTS of glitter in it, so use more glitter then mod podge- think 2:1 consistency- you will want to see lots of glitter in the mod podge. 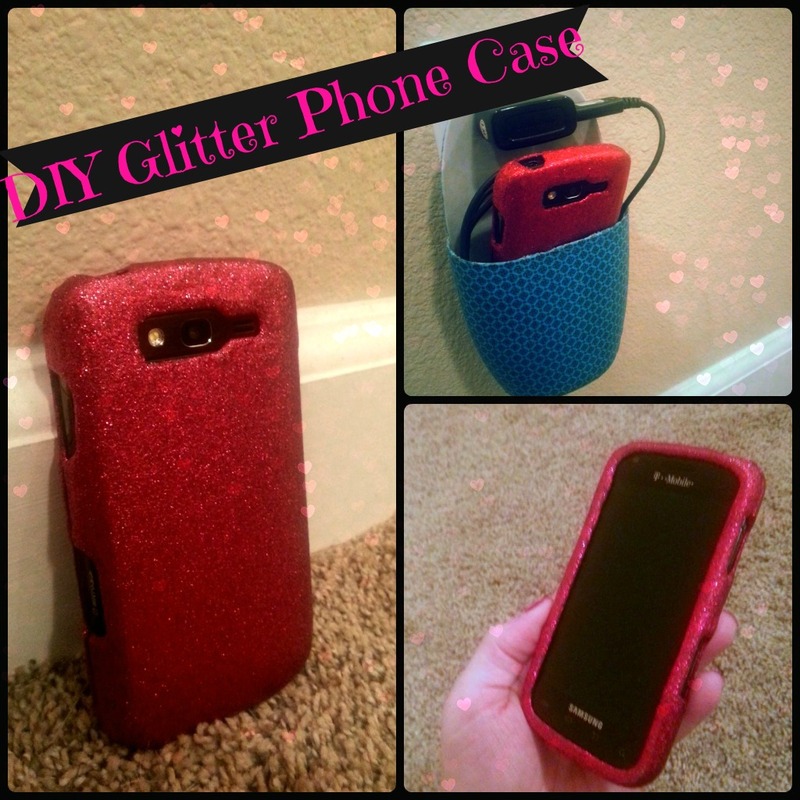 Take your foam brush and brush the mod podge/ glitter mixture over your phone case. 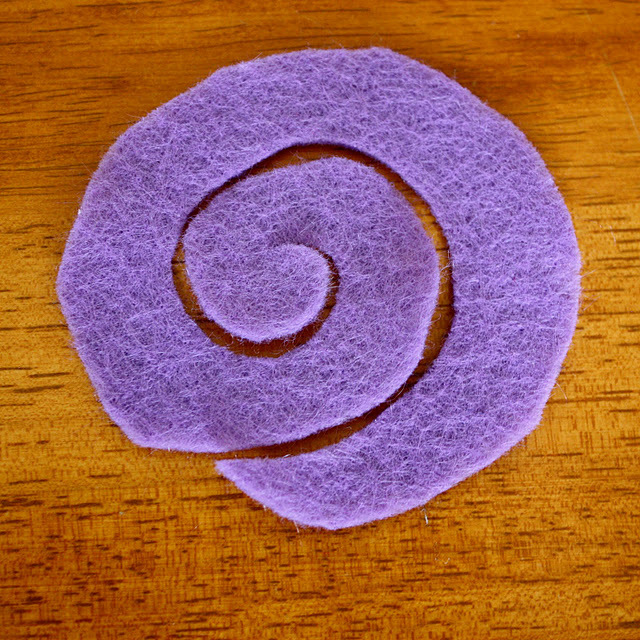 Make sure to do even strokes so the finish is even as it dries. Do about 2-3 coats depending on how much glitter you mixed in. 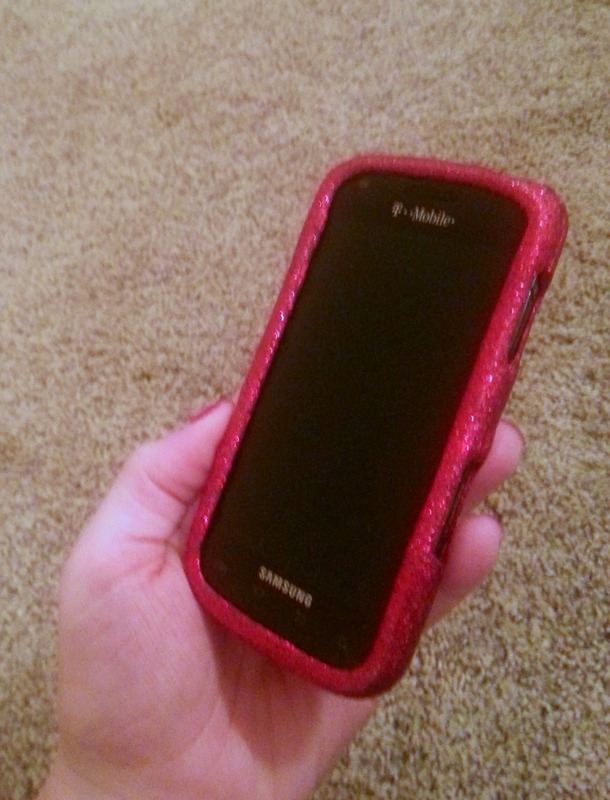 If you went a little lighter on the glitter, you might want to do more than 3. Wait at least 30 minutes in between. I waited 1 hr between coats. Rinse your brush off in between coats, otherwise it will get really hard and wont brush on the next one well. 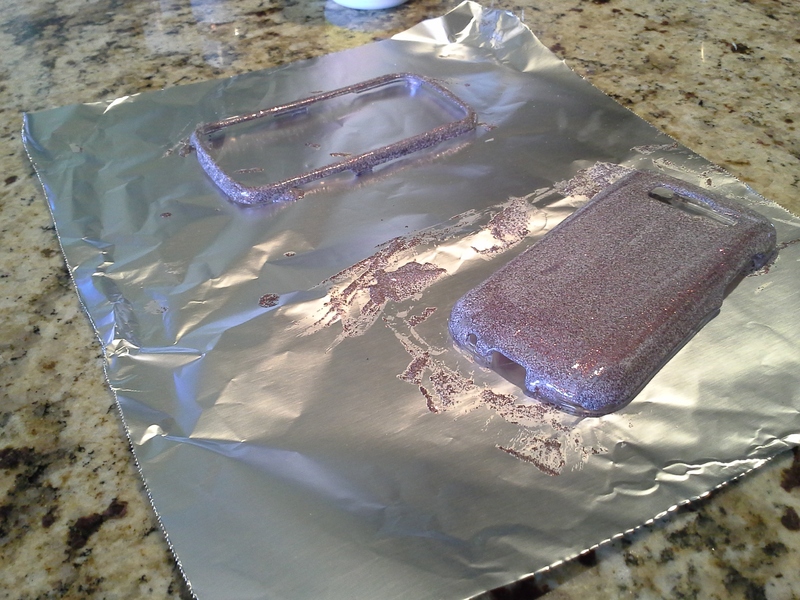 This is what mine looked like as it was drying, I laid it on some aluminum foil to keep my counters clean and prevent the case from sticking to anything as it dried. 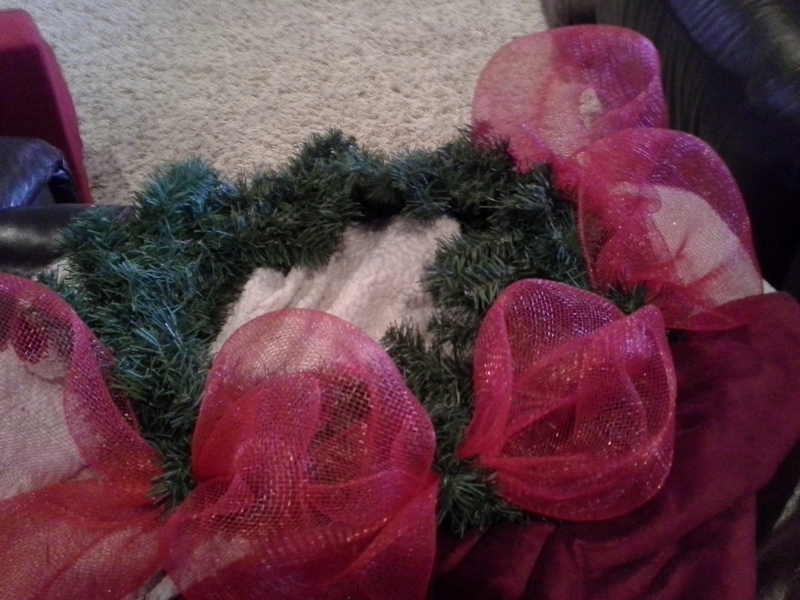 Now all that is left to do after it is dried, is put it on!! You may have to pick off some of the excess areas around where the phone case snaps together, if you dont have a snap case this wont affect you. We messed with it a little and it snapped together great! All together this cost me less than $15! I think that’s pretty awesome! 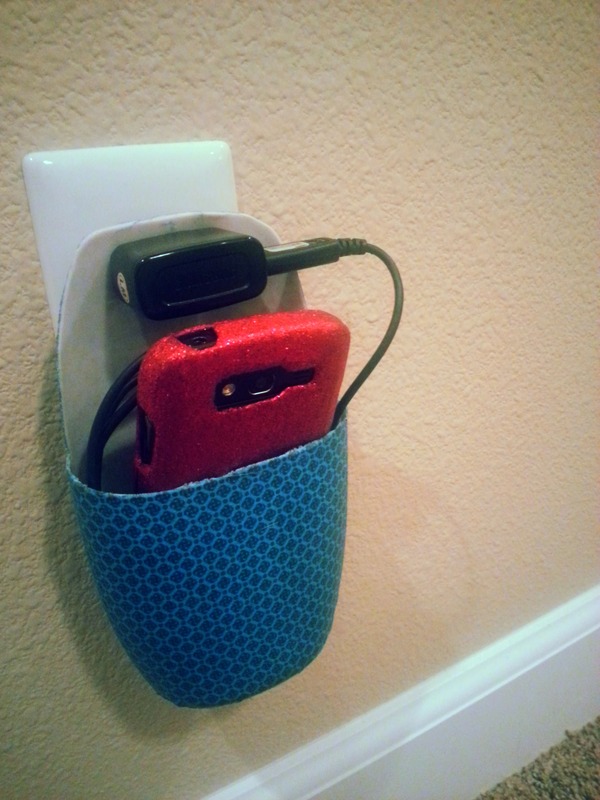 If you noticed the phone case holder in the top collage, I will also be posting a tutorial for how to make that too! Hope you enjoyed this, and that you try it yourself! I know some of my friends liked it so I will be making more for them!